“Go ahead and tell them I’m a bad celebrity, but a good mother!” Salma Hayek Pinault exclaimed last week at WorkHuman. She told the audience about a time when she was at Michaels buying Slime with her daughter and a fan asked for a photo. When Salma politely answered, “No, this isn’t about me, it’s about my daughter,” the fan threatened to oust her on social media for being rude. It was not the first time I noticed one of our keynote speakers share a personal story about parenthood and how it’s affected their lives. When we become parents, our priorities shift – it impacts the way we work, the jobs we take, and how we structure our careers. Strive for balance, not perfection. “I don’t think anyone will ever feel they’ve got the perfect balance. But I do my best,” Amal Clooney said when asked how she juggles life with new twins and her career. Some of her solutions are daily pajama parties and only taking on certain projects or travel opportunities. Remember that everyone’s story is completely unique. Globoforce Chief People Officer Steve Pemberton shared that as a child growing up in New Bedford, Mass., he never had a family to call his own. Many viewed Steve as a troubled child because he spent his life bouncing around the foster care system but, in truth, he was just a kid looking for a way out. When a social worker told Steve that he frankly, “didn’t have a chance in the world,” it motivated him to escape his harsh reality. By reading classic books like “Watership Down,” he focused on his dreams of going to college and building a family of his own, both of which he eventually achieved. Allow yourself to be vulnerable. Have you ever looked at your child sleeping and felt immeasurable joy – but also feared the worst if something terrible happened to them? 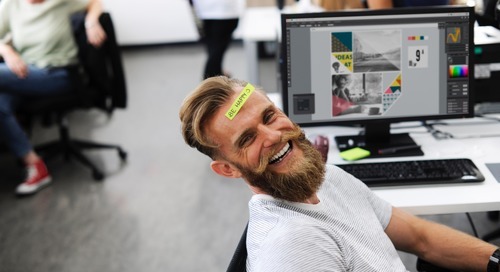 Brené Brown captured this feeling during her keynote when she said, “There is nothing more vulnerable than joy.” We need to have the courage to be vulnerable, to feel that joy, because “vulnerability is the magic sauce that makes connection possible,” according to Brené. And when we allow ourselves to be vulnerable and make connections at work – magic happens. More importantly, when we celebrate life events at work, it helps to unify us and create successful, happy teams. WorkHuman takes over Nashville March 18-21, 2019. 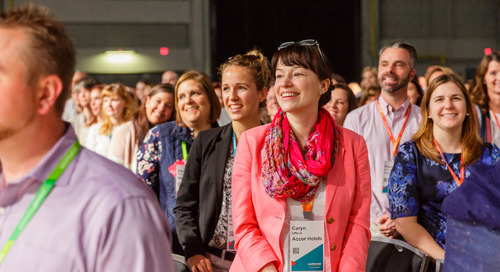 Get the Early Bird rate when you register at workhuman.com by April 30. Holly Hazelton is the marketing specialist for Workhuman. She has a passion for digital marketing and social media and spends her free time photographing her world and listening to music. She loves spending summers on Cape Cod and being outdoors with her daughter Penelope.